There are many reasons why neutrals are so popular in interior design but we wanted to highlight their top qualities that make these hues stand out from the rest. Neutrals don’t have to be boring or bland, but rather can help a room stand out and let its personality shine through. Neutrals are often mistaken as only being light earthen toned color or pastels, but in reality neutrals are simply muted hues, light or dark. Whether you’ve already taken advantage of neutrals in your space or are just looking for some ideas before you dive into your design, we hope that this information with either affirm you or inspire you. 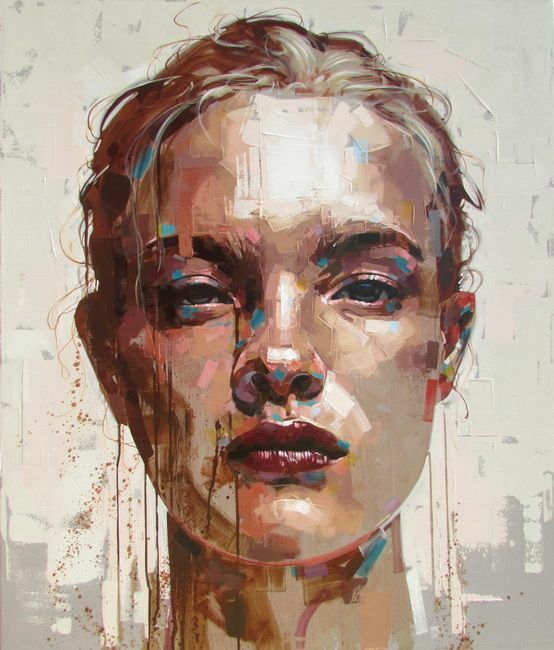 Notice how the neutral tones are utilized throughout this piece to bring out the richness of the portrait? The tan, mauve, and beige hues help dramatize the depth and vibrancy of the reds, blues, and deep violet oxides. Just as painting is a form of fine art, as is interior design, and this is why we see the same color qualities crossover from canvases to spaces in the home. Neutrals are practically necessary to let a design interact with the space it resides in. All of your efforts are supported by the subtle hues you bring into the space first. Here are a few interiors that exemplify this quality and proves again and again that neutrals will never be a thing of the past. 3. Neutrals Offer Opportunity for Colorful & Bold Accents : As we touched on earlier, neutrals set the perfect backdrop for those more saturated hues in your space. You can paint the walls neutral colors and have muted toned furniture so that everything else in the space can become interchangeable and customizable. Don’t feel stuck in one particular design and let the neutrals of your space become the setting for whatever design you are feeling this season or next. Being able to change up the space can give you the chance to be creative all over again and not feel like you are confined to one design. Its nice to feel like you don’t have to definitively commit to one thing when you incorporate this technique into your interior. Do we have you convinced yet, or are you smiling cheek to cheek because you’ve already got neutrals in your home for these very reasons? Tell us what you think about the fabulous world of neutrals and how they’ve benefited your interior design and all around mood in your home.